Today’s average consumer is exposed to so much advertising that it can be overwhelming. That’s why many marketing experts say that millennials are the first generation that is truly hard to reach through your average advertising campaign. Data on millennials aside, marketing still has a place in today’s world, and without it, your company will not be able to increase its customer base. How you market to people in today’s economy can make all the difference though. The fact is that using emotion in your marketing is often much more effective than using logic. Keep reading to learn more about how to use emotion in your small business marketing efforts. With the average consumer so inundated with advertisements today, you’re not going to gain much ground by simply marketing your product or service as a tool or something helpful. What you need to do is create an emotion that’s related to your product or service. For example, if you’re running a daycare facility, you want to create an image of happy children being nurtured when they’re away from home. That’s a lot more effective than trying to sell your daycare service as a cost-effective solution to an in-home babysitter. Creating deeper meaning that plays on a person’s happiness, and how your product or service can help them create that happiness, can be effective. Helping people fix their problems or avoid painful situations in the future is another method. If you make a smartphone app for getting directions, you’ll be better off discussing how painful it can be to get lost or stuck in traffic before a big meeting. By positioning your app this way, you’ll be showing people how your product will alleviate discomfort and create happiness. How have you found success by using emotion in your marketing? 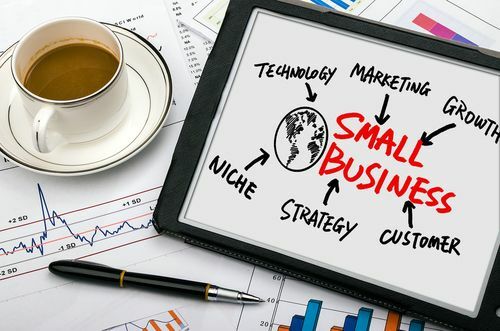 Here are some great small business marketing solutions available online to help you grow your business.